Previous studies have suggested that there's a correlation between breast cancer and sleep, but a new one conducted by researchers at University Hospitals Case Medical Center in Cleveland, Ohio—and printed in the The August issue of Breast Cancer Research and Treatment—claims to be the first of its kind to link 6 or less hours of sleep a night to more biologically aggressive tumors. 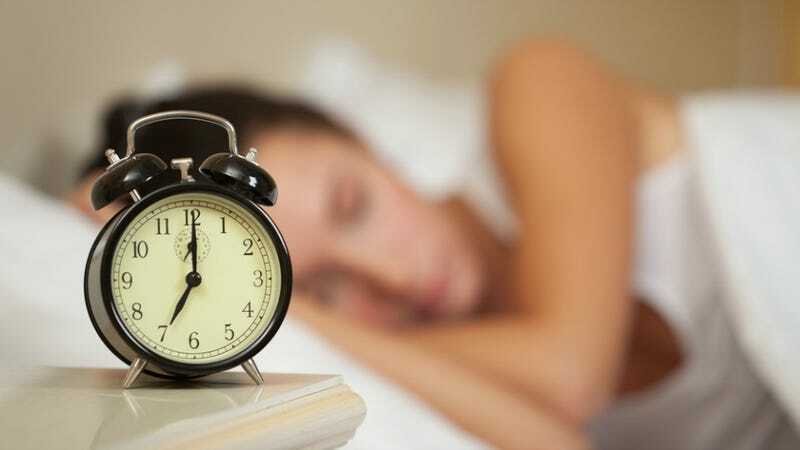 418 post-menopausal breast cancer patients, recruited from diagnosis, were questioned about their sleeping patterns in the last two years. They were divided into three groups: those who slept more than 7 hours a night, those who slept 6-7 hours a night and those who slept less than 6 hours a night. The latter group had higher tumor recurrence scores, and the actual tumors were of the more severe variety. The head researcher attributes this to the disruption of the body's circadian rhythms: "Sleep is when your body repairs itself at the cellular level, and this may be impaired." However, no correlation was found between a poor sleeping schedule and the reccurrence of tumors in pre-menopausal women.